Rudbeckia is 50 - 80cm toll. 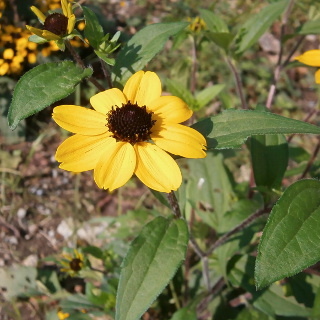 The flower blooms yellow petals and center is brown. It looks like Cosmos.